Fruits and vegetables are really healthy for us and among the healthiest ones we have the avocado but can cats eat avocado? This fruit became so popular nowadays as it is considered a super food and thus there are many recipes you can experiment with but let us find out if it is a good idea to have your cat get a taste. Avocado was discovered in Mexico and people have been cultivating them for about 5,000 years so over this period of time many recipes were developed with this as one of the ingredients. Today they are used as food but also for skin oils and many other beauty products. Avocados have a composition of crude fiber and they contain a lot of vitamins such as A, C, E and B6 along with folate, potassium and niacin. 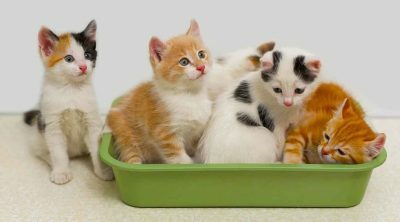 All of these are healthy for us and are good for cats too but you have to remember that cats are carnivores. The 18 amino acids contained in the avocado fruit will provide you and your cat with energy and they are the essential building blocks of the muscle development and organ function. They do contain a lot of fat but the one you find here has omega fatty acids that have anti-inflammatory properties so they will improve the health of your pet. If you compare the amount of fat in avocado to that of butter, avocados have 30 times less saturated fat. 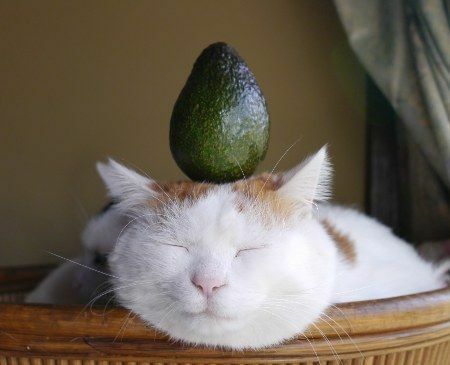 Avocados are also known for their high content of antioxidants and this can boost the immune system of the cat while also reducing the risk of cancer. A substance called persin is found in the fruit and leaves of the avocado and it is for this substance that some said it is a bad idea to give this fruit to pets. If you want to find out about the effect of avocados on cats online you will discover many different opinions and the doubts mainly begin from persin. 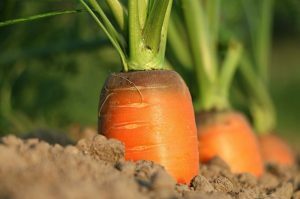 It is toxic for birds, goats, rabbits and ruminants as it causes a build up of fluids around the heart and lungs which leads to liver and kidney failure. Fortunately, cats don’t have any problems with persin and it was actually proved to help kill cancer cells. The only problems that can arise is going overboard with too much avocado or feeding it to kittens. 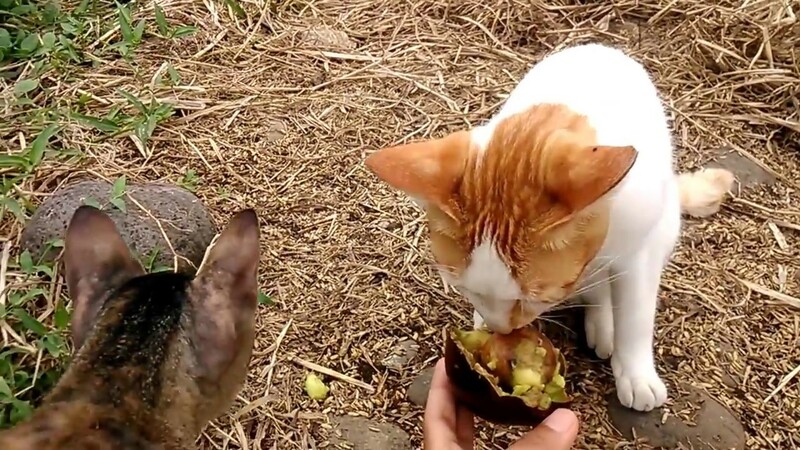 According to the ASPCA the only animal persin is toxic to is the horse where it can cause respiratory distress but cats are safe to eat avocados. That being said, due to the digestive system of cats which has adapted to eating meat, they won’t benefit as much as we do from the properties of this fruit and it will be more difficult for them to assimilate it. So it is important to only add a bit and consider it as a supplement instead of an essential part of the meal. So avocados are good for cats but how much should you give them and how often? If a cat eats too much of this they will probably get an indigestion and start vomiting or have diarrhea. 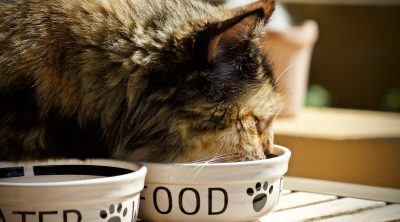 When introducing something new in a pet’s diet make sure you always start with small bits and observe how the cat behaves afterwards. If you see any adverse effects then you should stop and investigate the reason. Obviously if the cat reacts badly to some food then you should stop feeding them that. Avocados should only be thought of as a treat and it should be kept in small portions. The best choice if you want to provide your cat with all the health benefits of avocados without the risk of messing the balance of their diet is to get quality cat food that has avocados in it. The fruits should be served without the leaves and pits. 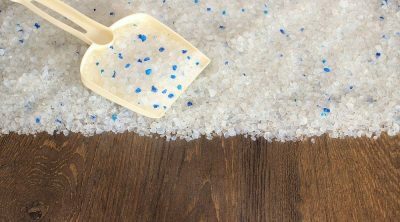 Remember that the tolerance your cat has to salt is much lower than ours and thus you should refrain from serving them dishes made for human consumption. 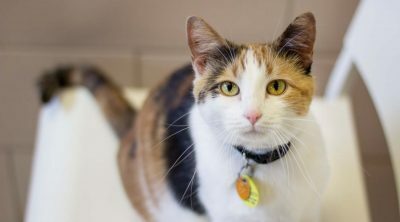 If you made some guacamole it probably contains onions and garlic, both of which are highly toxic to cats so keep it for yourself and keep the cat away from it. If they ate some accidentally then you should rush to the veterinarian because the effects can be deadly. As we said above, avocados are only toxic to birds and horses but there are still some things you have to pay attention to. 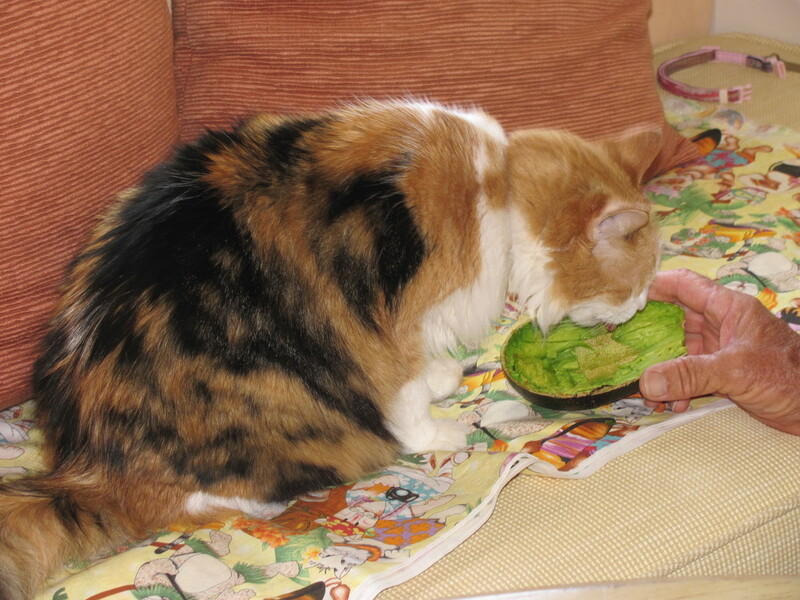 Avocados can cause difficulty in breathing for cats since there is the possibility of triggering fluid accumulation in the lungs and chest area. This same thing can happen in the pancreas or abdomen and thus you should keep cats under observation after first feeding them this fruit. The high fat content can lead to pancreatitis and this can vary in severity. 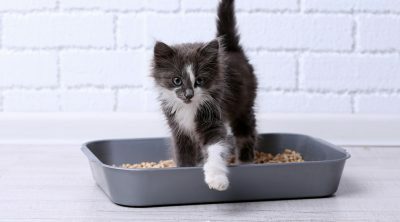 If you see the cat acting in unusual ways you should bring them to a vet since if you don’t take care of this in time it may lead to complications like diabetes. Large quantities of avocados can cause other symptoms as well for cats and the ones we should mention are constipation, difficulty swallowing, an increased heart rate and fever. Also pay attention to the fact that there are several types of avocados and some can contain more persin than others. The Guatemalan type for example has many toxins that are harmful to cats if given in large quantities so keep that one to a minimum or even better don’t feed any to your pet. The seed is too big to be eaten by most cats but still some of them might try, so keep it out of their reach as it can choke them. If your cat ate too much avocado you should call the veterinarian and see what they have to say. There are also poison control centers that can assist you if needed. 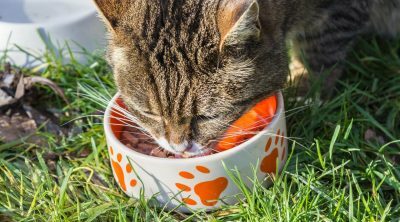 It doesn’t harm them but neither is it essential for their diet so only give it to cats in moderation as an occasional treat. It is good for them as it improves their skin and coat.